Since the time Sridevi and Boney Kapoor's daughter, Janhvi Kapoor and Saif Ali Khan and Amrita Singh's daughter Sara Ali Khan made their debut in 2018, comparisons between the two have been unstoppable. While Janhvi made her debut with Abhishek Kapoor's Dhadak, Sara entered Bollywood with not just one but two big ticket projects, her debut film Kedarnath, followed by her second film in the same month, Simmba. The industry welcomed both the young divas with open arms, but, when it came to their work and their performances in their respectie films, it was Sara who created her place in everyone's heart with her stellar performance and her bold personality. Both the girls share a cordial relationship but looks like their parents don't! 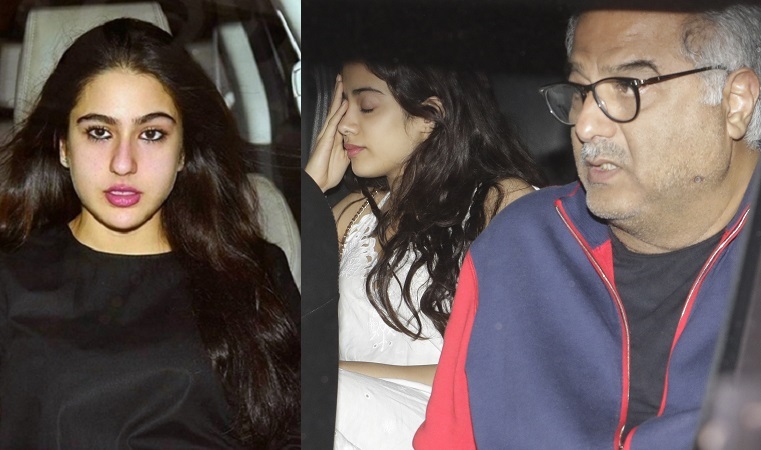 If reports in Zoom are to be believed, Janhvi's dad, Boney Kapoor recently blasted her public relation's team. Reason? Daddy dearest is feeling that his darling daughter is not being 'highlighted and projected' properly by her PR team, as compared to Sara's team. He is of the opinion that they are not working as effectively and efficiently as Sara's team. He apparently wants the same kind of 'fierceness and enthusiasm' in Janhvi's PR team as well. Meanwhile, on the work front, Janhvi is gearing up for Karan Johar's magnum opus 'Takht' and Gunjan Saxena's biopic and Sara, is rumoured to have bagged a role opposite her crush Kartik Aaryan in Imtiaz Ali's 'Love Aaj Kal 2'. She is also set to pair up with Varun Dhawan for 'Coolie No.1' remake.